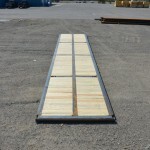 Rig Mats Products | Light Weight Mats | RMA | mats for staging | Rig Mats of America Inc.
RIG MATS OF AMERICA INC.
lightest and strongest rig mat on the market. Our improved design is the same size and thickness as a traditional rig mat, therefore compatible with the mats in your existing fleet. 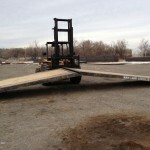 With the weight savings of a traditional 8’ X 40’ mat, we can ship two more mats per truck load. 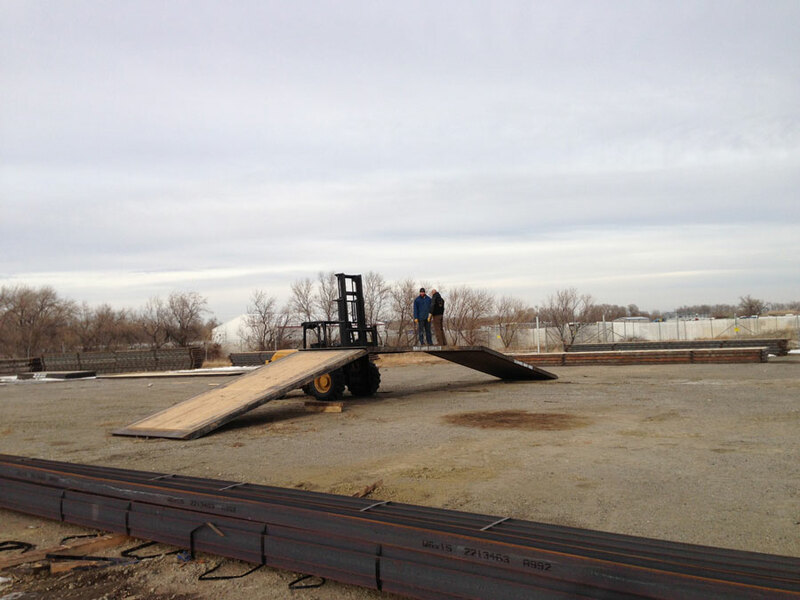 This allows for significant cost reductions on the mobilization of matting solutions to our valued customers. 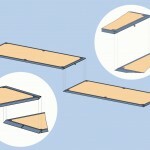 The core of RMA’s mat is one solid platform consisting of four cross-laminated layers. 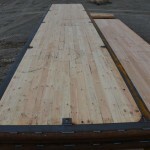 This product does not rely on a single board for strength but relies on the slab as whole for its core. Difference of 1,000 lbs per mat! Deflection test between a 3 beam traditional mat is the same as an RMA channel mat. Difference of 1,400 lbs per mat! 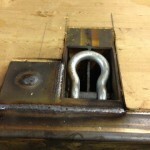 Deflection test between a 4 beam traditional mat is the same as an RMA I beam mat. 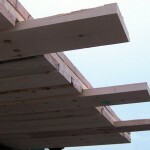 CLT is a fully engineered product that can be custom built by adding layers to ahcieve the desired strength. 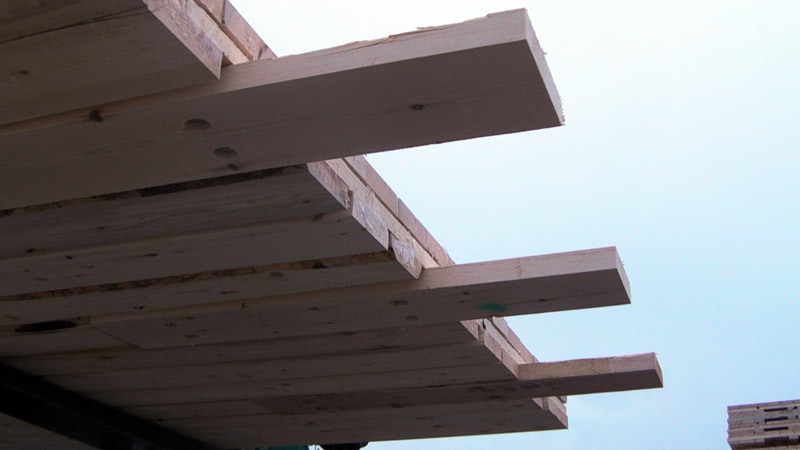 This technology was designed for construction of large buildings and as such has to conform to many forms of government testing for quality of both the glue, wood strength and finger joints. 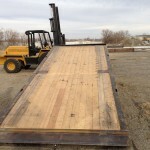 Each layer of wood is micro planed to the exact thickness then laid flat running 40′ the second layer is then placed across 8′ then 40′ and so on until the strength or thickness is met. As each layer is laid down an automated glue applicator puts the precise amount for each layer. 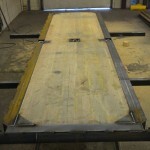 After the thickness is met a full 8’X40′ press holds the glue until it has cured. Please click the link (5 layer CLT drawing) below. With using an engineered product we have all the deflection, sheer and copression data available to design a mat to our customers needs. 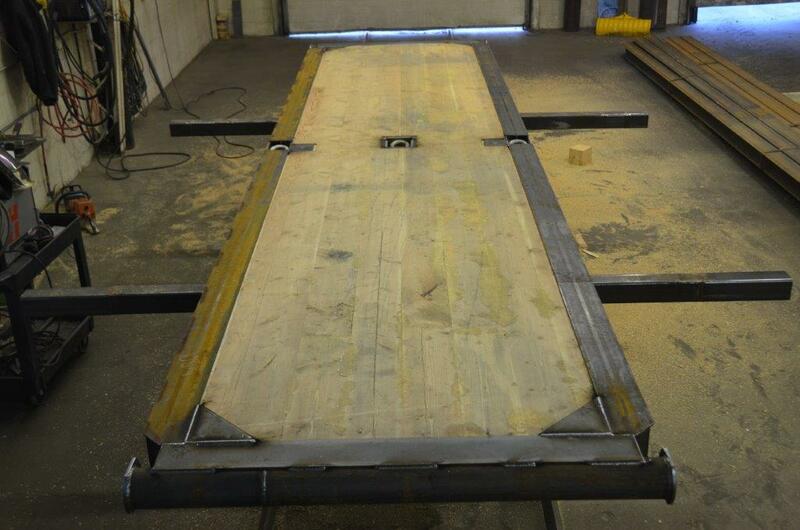 We also use an engineered beam that we can change the thickness and tensile strength to reach the desired outcome. 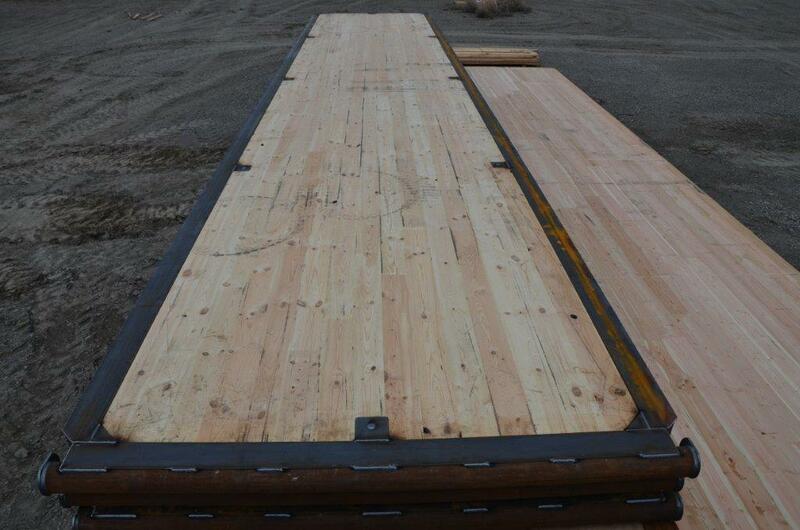 The core of RMA’s mat is one solid platform consisting of four cross-laminated layers. 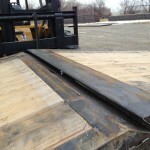 This product does not rely on a single board for strength but relies on the slab as whole for its core. 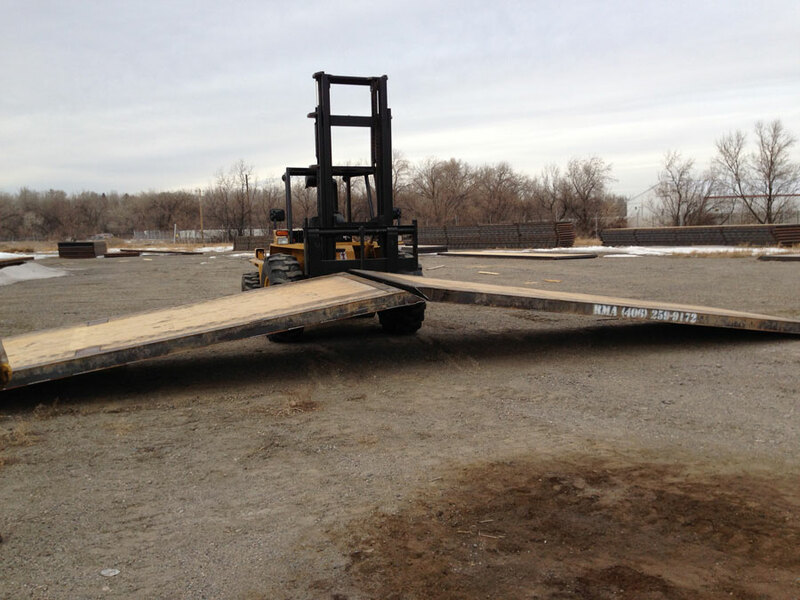 The 20′ channel mat is wrapped with channel on all edges and has no winchable ends. 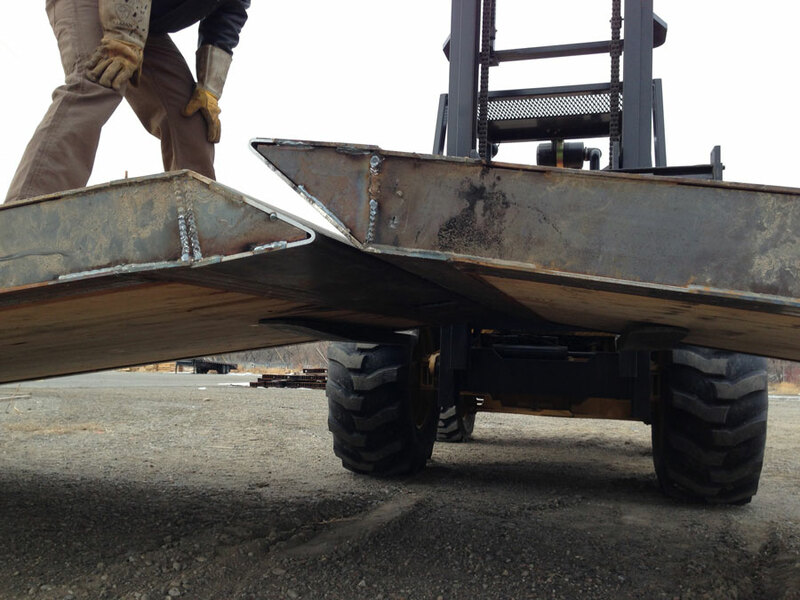 RMA has designed lifting points in all four corners of the mat which puts the lifting points 20′ apart. 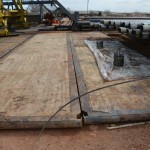 40′ channel mat has a whinchable end as well as lifting points 10′ in from each corner making the lifting points 20′ apart. 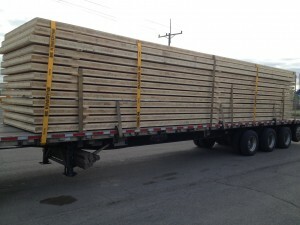 Available up to 40′ in length. Using the CLT witch we get deflection ratings on we can design a mat to the thickness that it needs to be depending on how heavy the rig is. We also use a 3″ tube on the side of the mat to act like a tongue and grove to disperse the weight down the side of the mat to prevent the mats from bending under the weight. At the end of the mat we put our interlocking end that again transfers the weight on to the next mat. 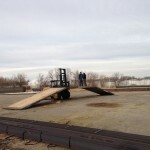 This end also helps being that it is shaped like a ramp makes it easer for large trucks and rigs to drive onto the pad. 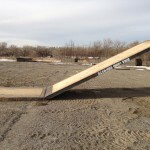 If need be we can make the mat 8″ plus or steel plate the top of the mat to make it easer to slide over. We are sure we can work with your team to custom build a mat that will work for you. 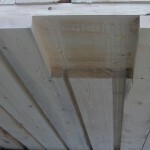 The I Beam Mats have the same CLT core but is wrapped in I-Beam to increase strength. 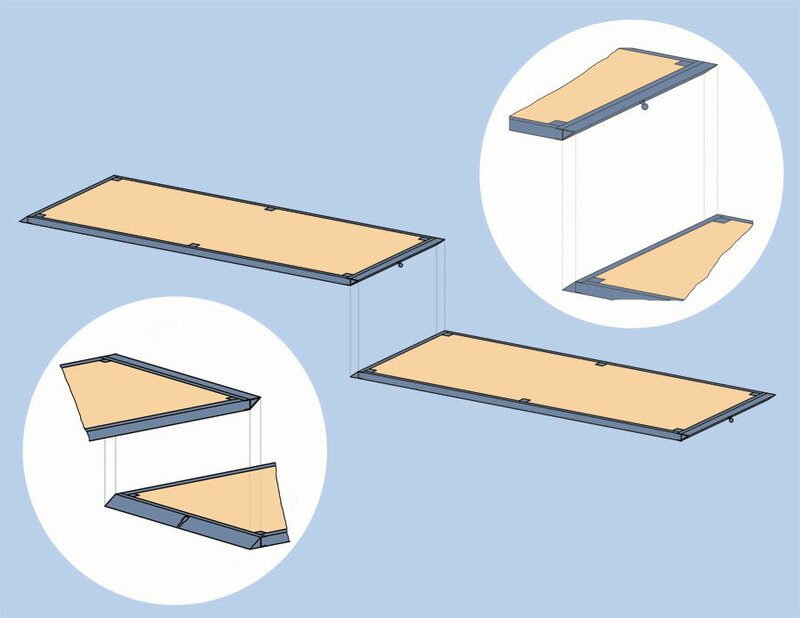 This mat is comparable to a traditional four beam mat which would have two center beams as well as two beams on the outer edges. 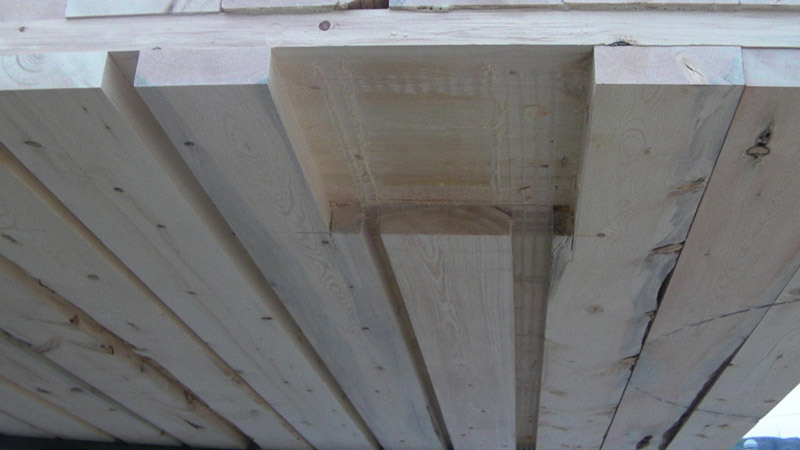 Deflection and impact tests prove this mat to be a stronger more reliable mat as the core strength comes form the CLT core. 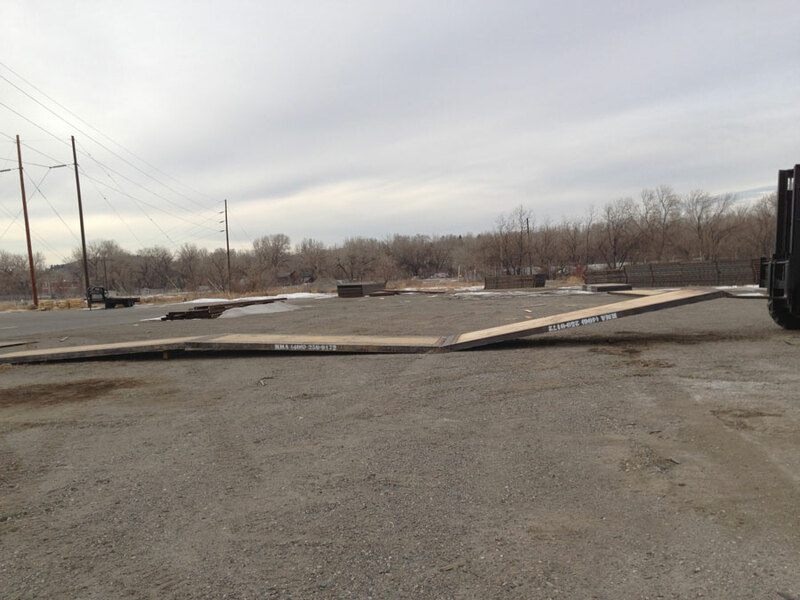 This mat has lifting points 10′ in from each corner and also has whinchable ends. 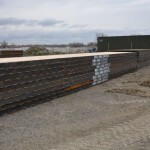 Available in 20′ and 40′ lengths. 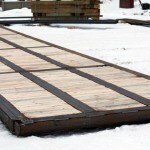 50% Lighter than a traditional bolted access mat! 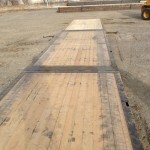 With the same look and ability to lock to standard oak or fir mats, the CLT Access Mat still remains considerably lighter than a traditional mat with all of the same durability. 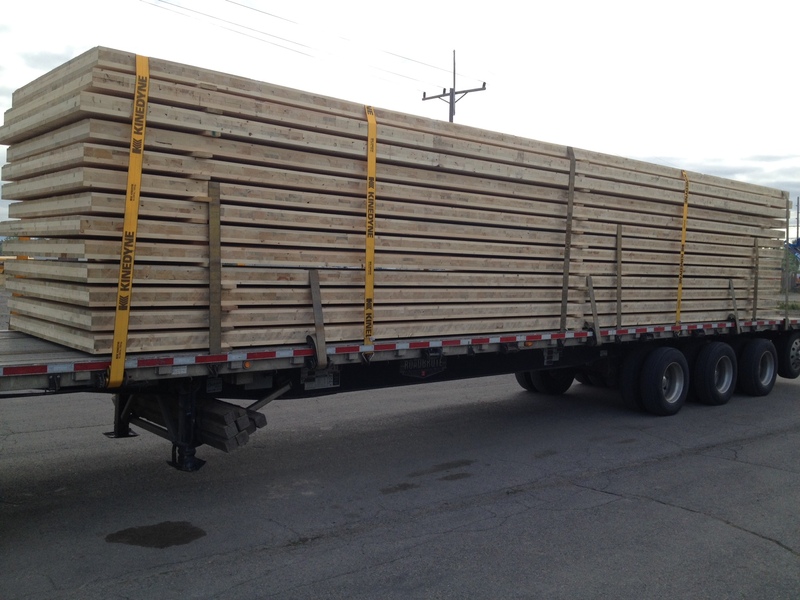 This weight reduction means significant savings in trucking fees. 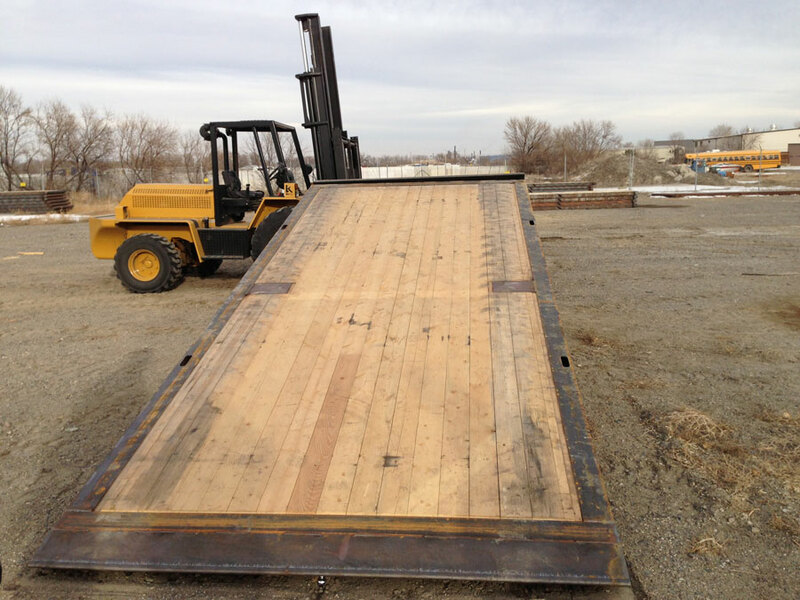 As a normal load consists of 45 access mats, you can now load 90 CLT mats per truckload. Less trips, less fuel, less hours and wages… and a faster delivery time! 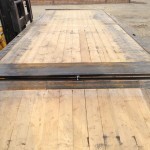 Being able to load twice the mats per truck makes the CLT Access Mat the most cost effective mat to move from one location to another. This mat has been engineered to be stronger than a fir mat in every way, making it an easy replacement for some traditional mats. 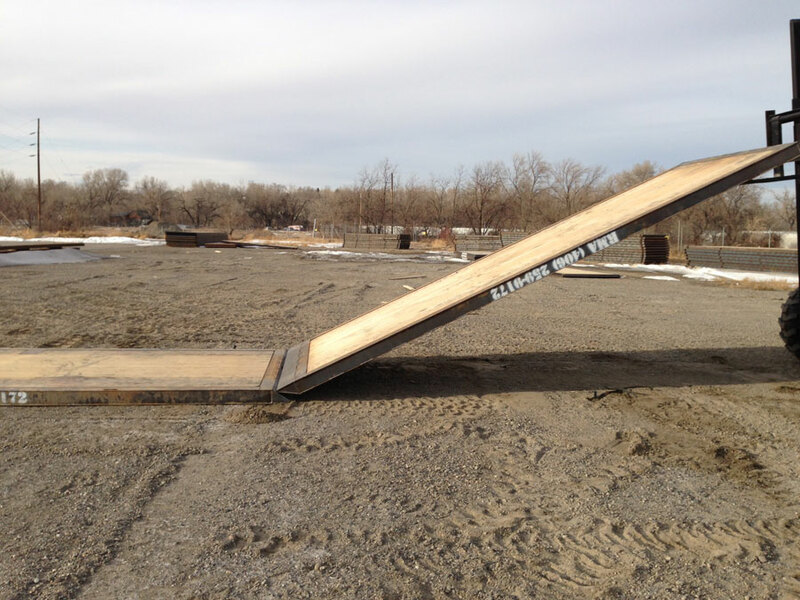 Unlike the bolted versions of access mats, tests show that the mats will not diamond shape when dropped on a corner. Over time, a traditional bolted mat will become harder to fit together. 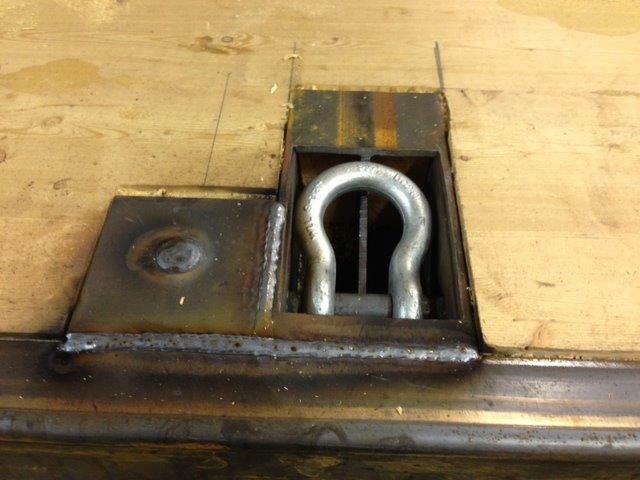 The CLT Access Mat only has one bolted part, which is the fingers, making them easier to change out. 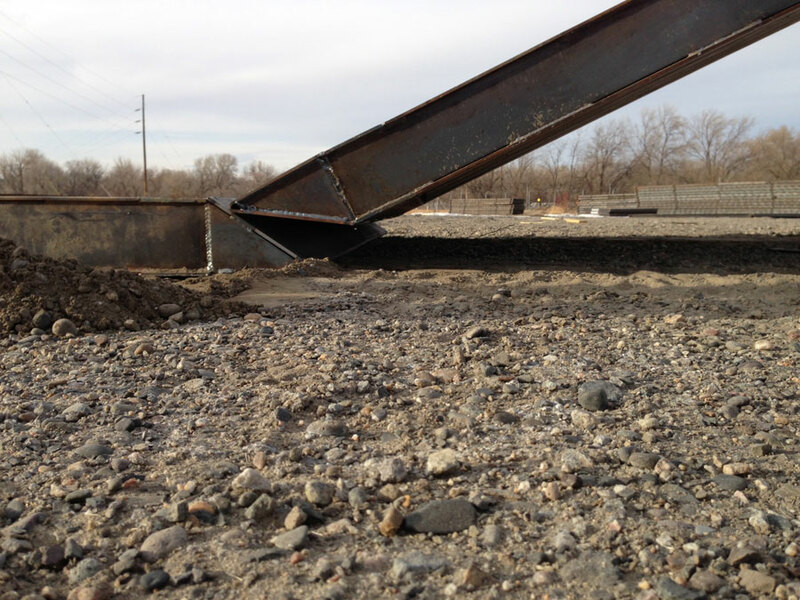 The RMA heavy-duty traditional rig mat is designed to be durable and stand up to the harshest climates and environments. 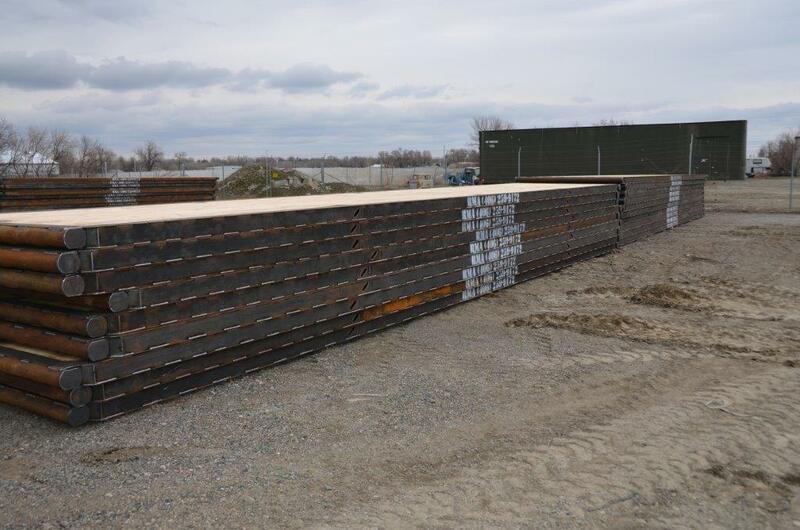 These carefully constructed wooden rig mats gain their structural strength by the 6 x 15 inch steel beams that surround the design. 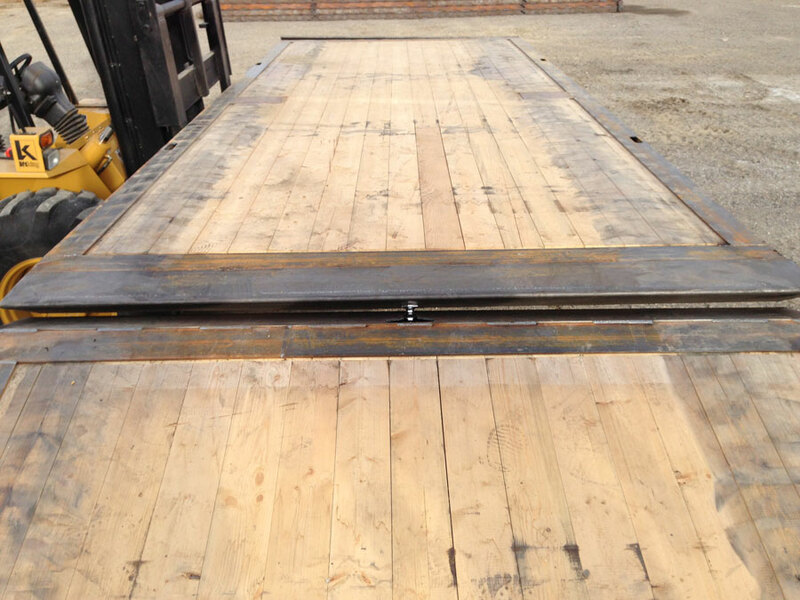 Rig set up and tear down is fast and these mats can be easily cleaned and shipped to your next location. 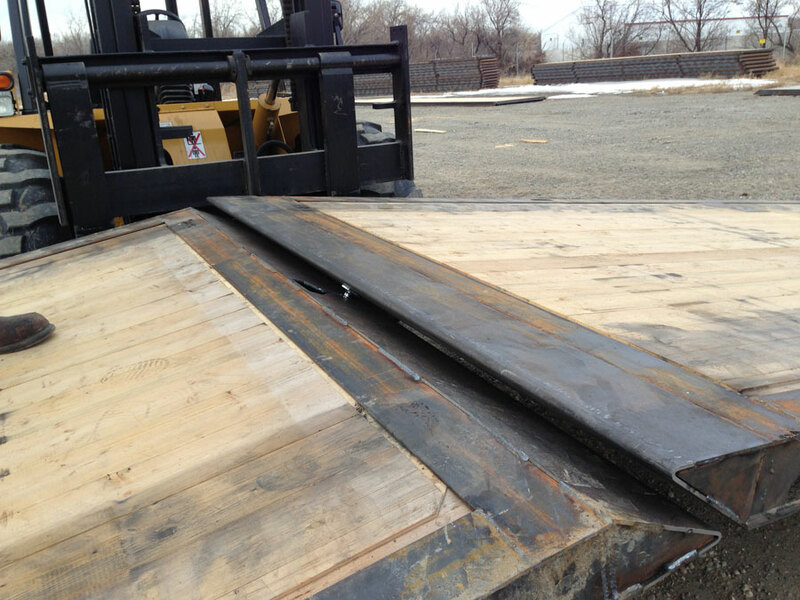 Creating a level and sturdy surface, these rugged mats can handle the weight of heavy machinery as well as protect vulnerable environments. 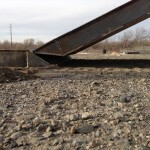 With less disturbance to the surrounding environment, the ground can recover quickly and return to its natural state. 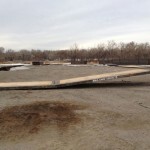 Additionally, using a matting solution can reduce reclamation and reseeding costs at the end of the project. 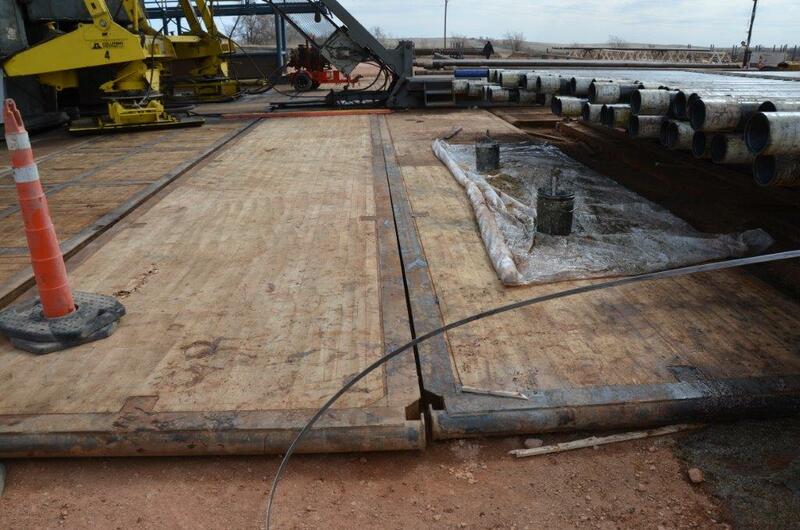 RMA traditional rig mats are manufactured in a four-beam and three-beam designs. 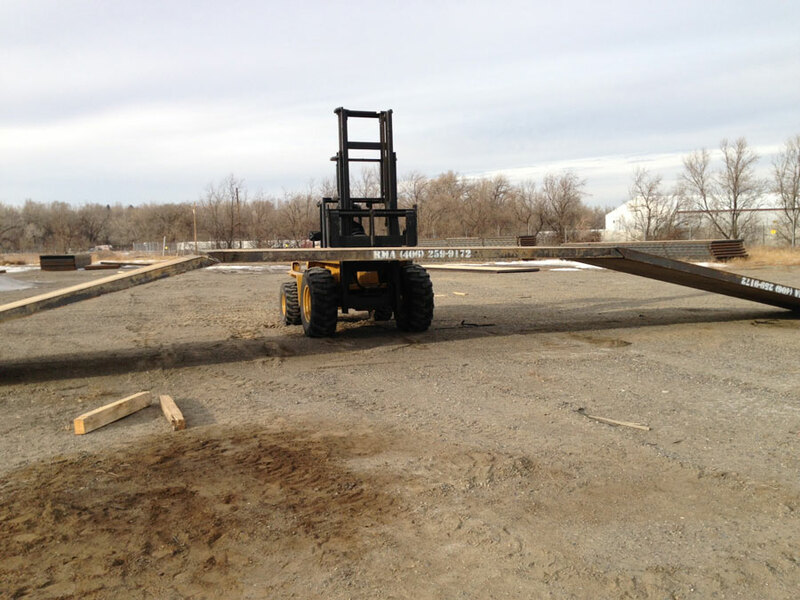 Both are offer a work platform for equal weight distribution and a cleaner working environment. 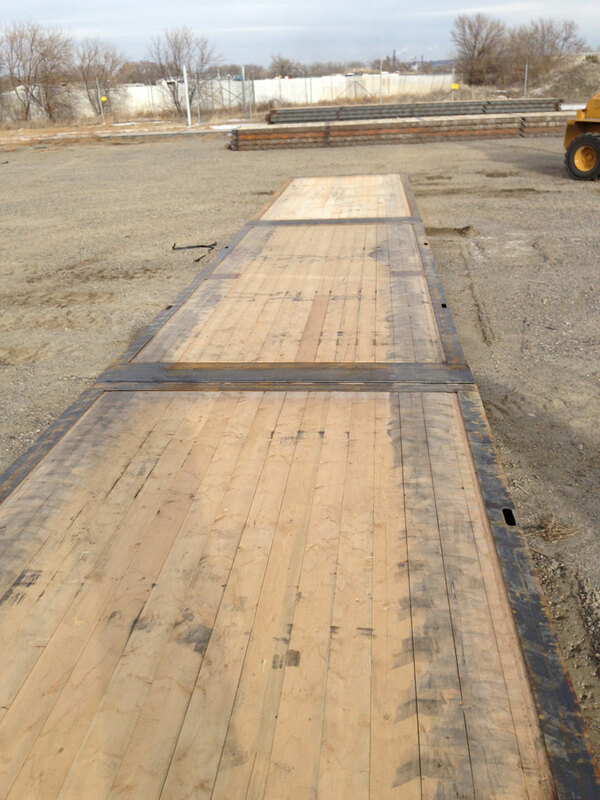 RMA Interlocking mats and a new hybrid mat composed of cross laminated timber and engineered steel. 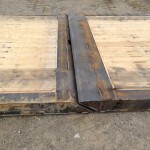 These mats locks together to create a pad that distributes weight between all the mats so when they are placed over wet or uneven areas, they lock together and create a solid even surface. 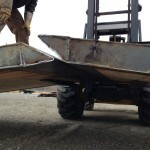 Our specific design is unique, as it has a ramp at one end which allows the user to easily gain access to the pad without the worry of tire punctures. Additonally, the RMA Interlocking mats are extremely easy to clean out as opposed to other designs that are quite hard to clean out and add time and labor to a project. 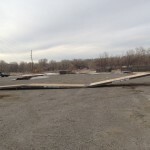 As many temporary roadways require curves and bends to access your project site, RMA interlocking mats allow for some movement, so they can fit along the contour of the land to create gradual curves in this application. RMA interlocking mats won’t come apart until you’re ready. Through a series of stress tests, we have proven our mats not only hold up under pressure, but can continue to stay locked when you need to move locations. 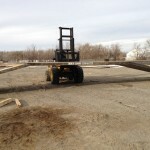 You can turn and pivot to maneuver easily on uneven terrain, pick them up, drive on them and they’ll still stay locked. This can save hours of time when changing locations. 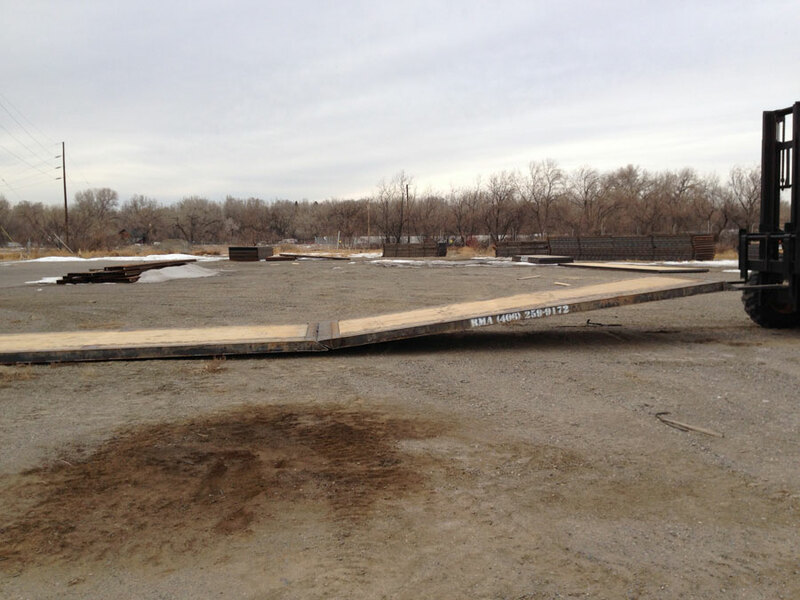 Click here to view the plans for our Interlocking mats. 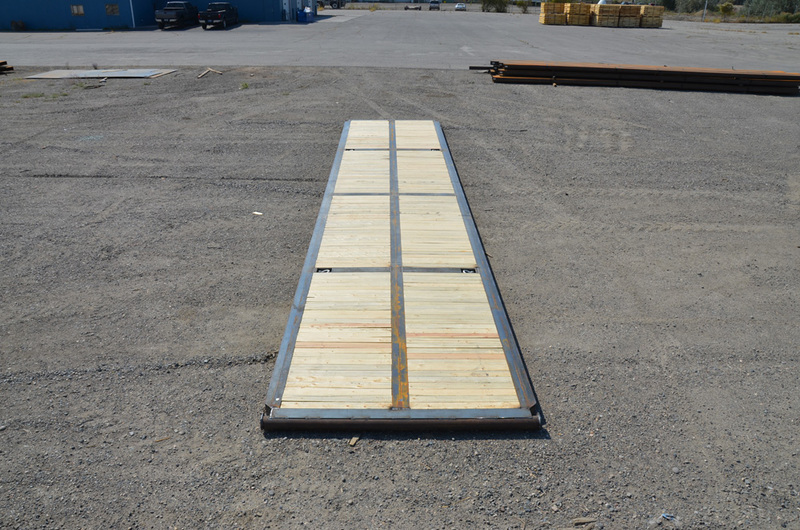 The RMA Containment Mat is a solid steel mat with ramps for trucks or heavy equipment to drive on to be fuel up or washed down. 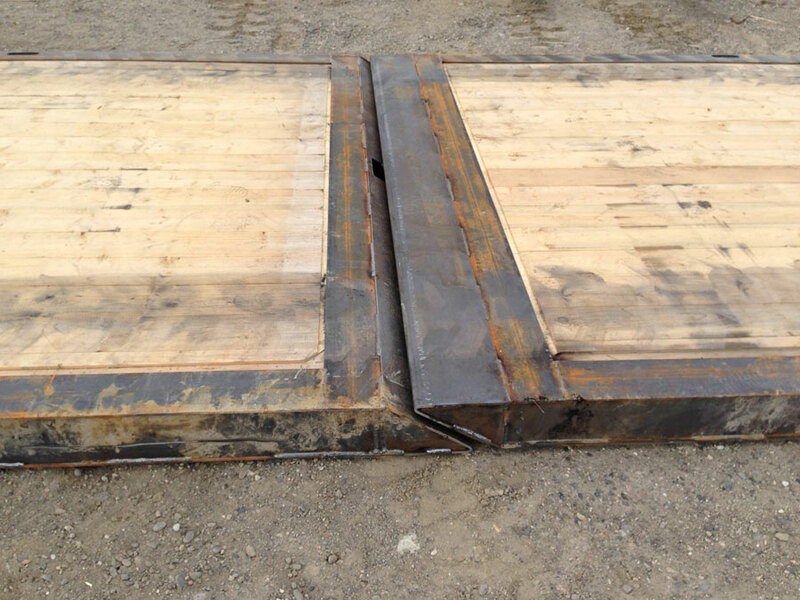 These mats have solid sides, a solid bottom and grated top to allow oil, grease, tar or any other chemical to be contained for the protection of the surrounding environment.